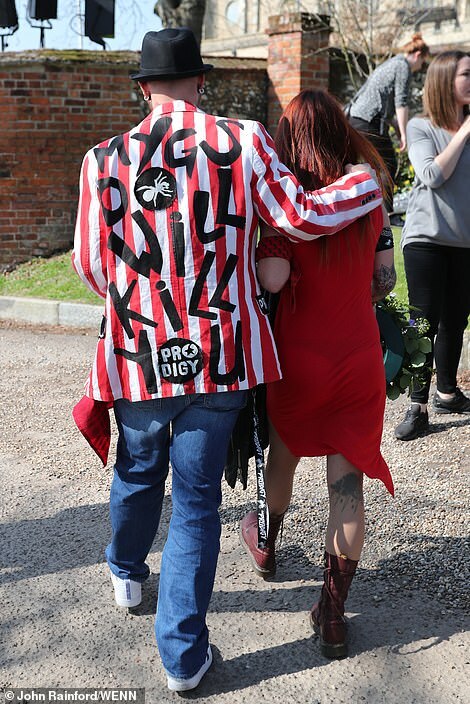 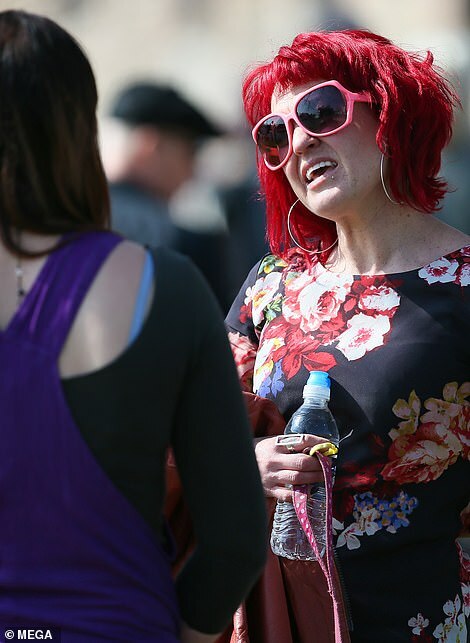 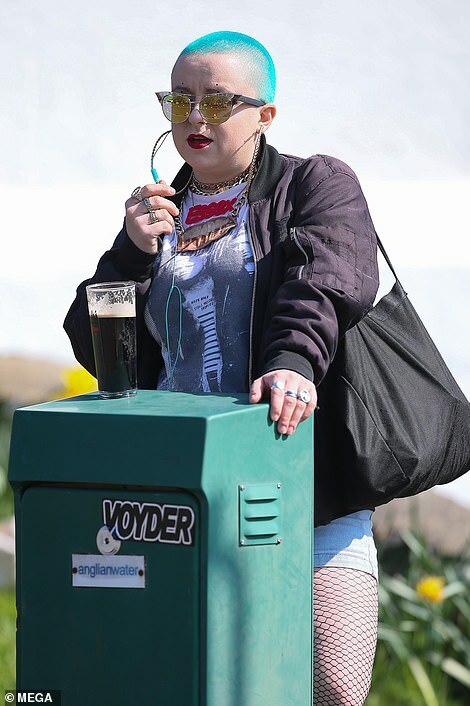 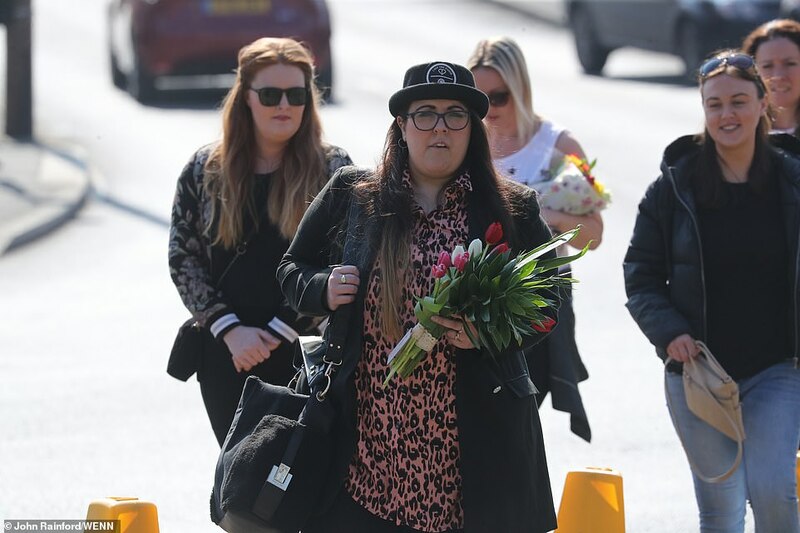 DJ Mayuma Kai was overcome with emotional today at the funeral of her late estranged husband Keith Flint as hundreds of fans descended on the streets of an Essex town for the Prodigy frontman’s funeral. 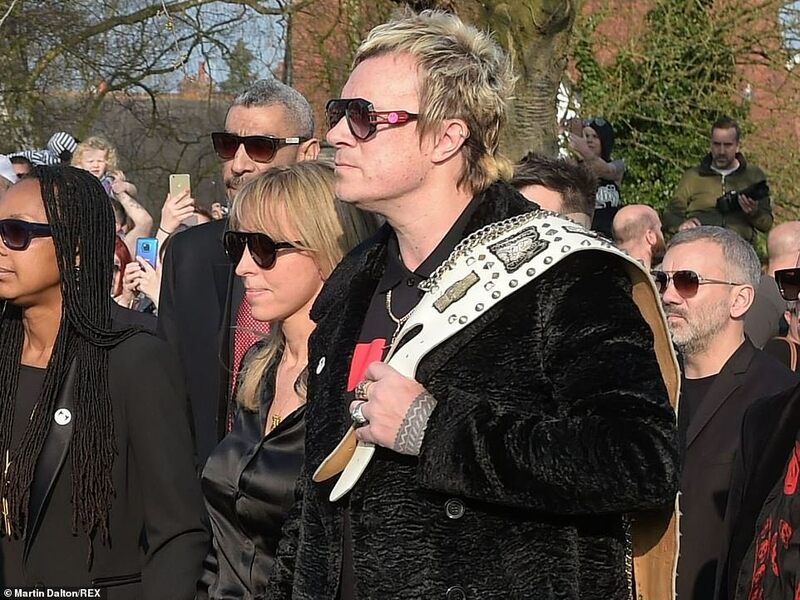 The mourners packed the winding roads of Braintree to pay their respects to the charismatic frontman who died on March 4, with local schools closing for a ‘raise the roof’ celebration of the 49-year old’s life from 3pm. 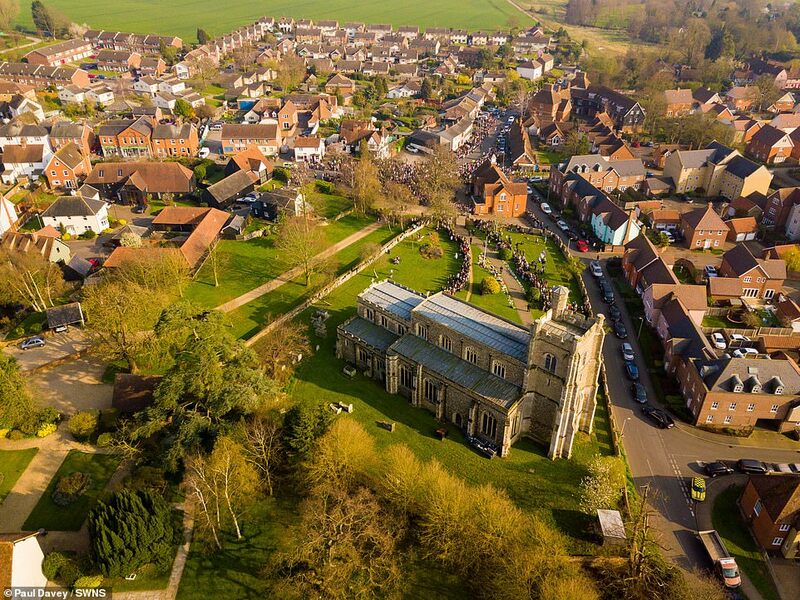 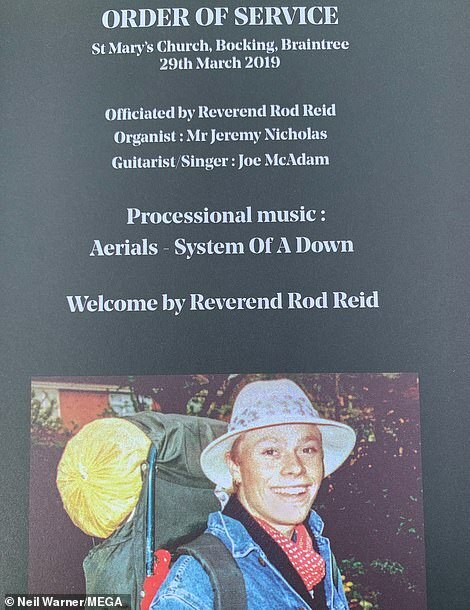 The 1.5-mile procession finished at St Mary’s Church in Bocking where the service took place in private, with the order of service revealing metal group System of a Down’s Aerials was the processional music. 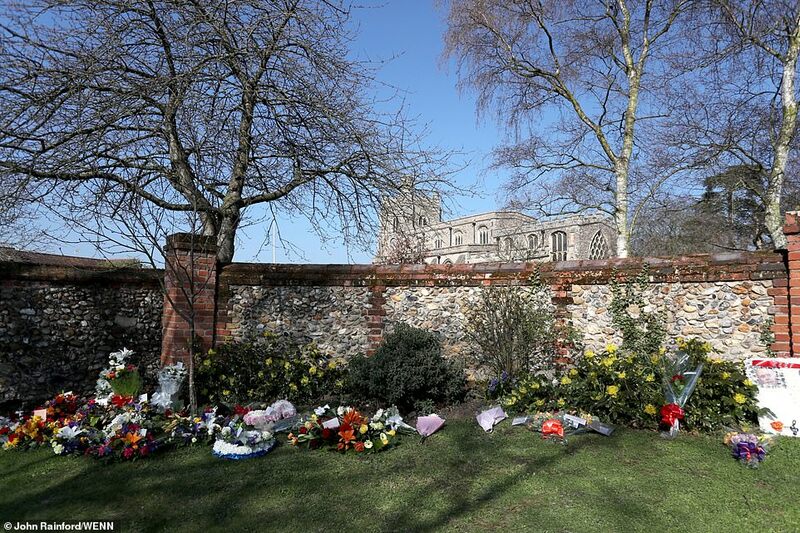 Days Like This by Van Morrison, Pink Floyd’s Wish You Were Here and That’s Entertainment by The Jam also being played. 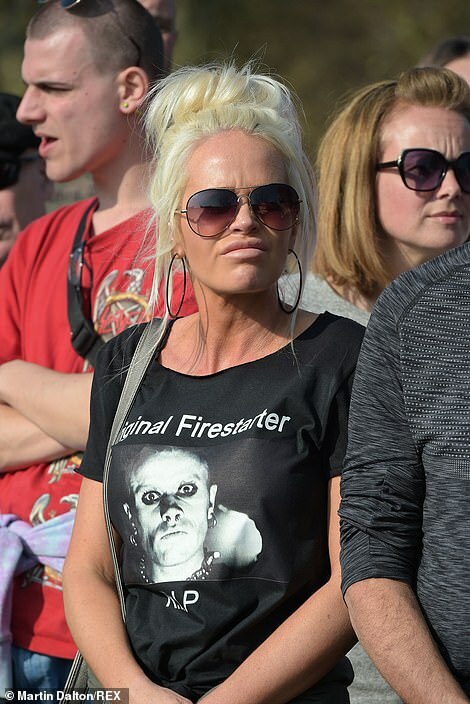 Speakers relayed the service to the fans stood outside in the town where the Prodigy was formed. 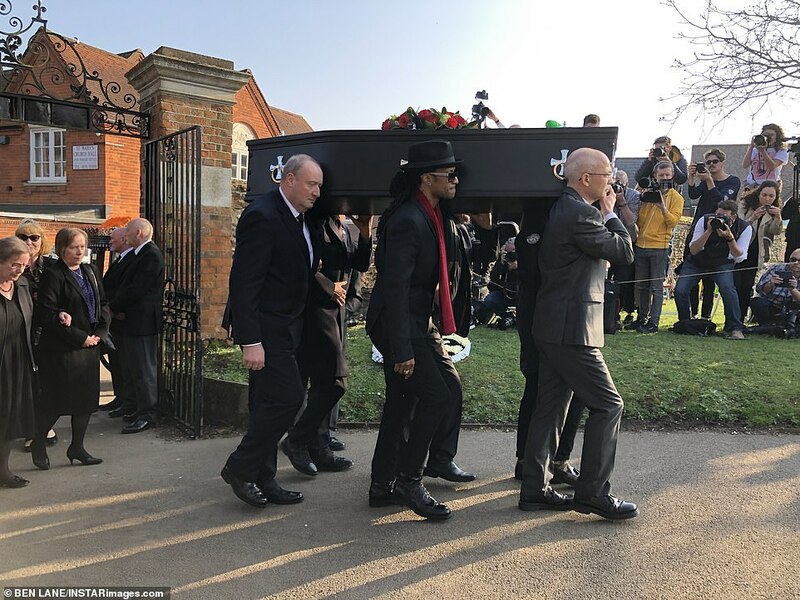 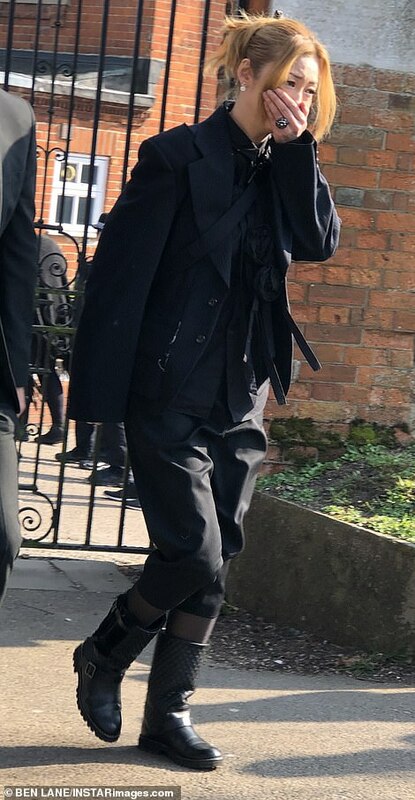 As the black coffin was carried into the church, the classic Prodigy hit ‘Outer Space’ blared out, with grieving fans shouting ‘live forever’, ‘we’re with you’ and ‘we love you’ as motorbike engines revved. 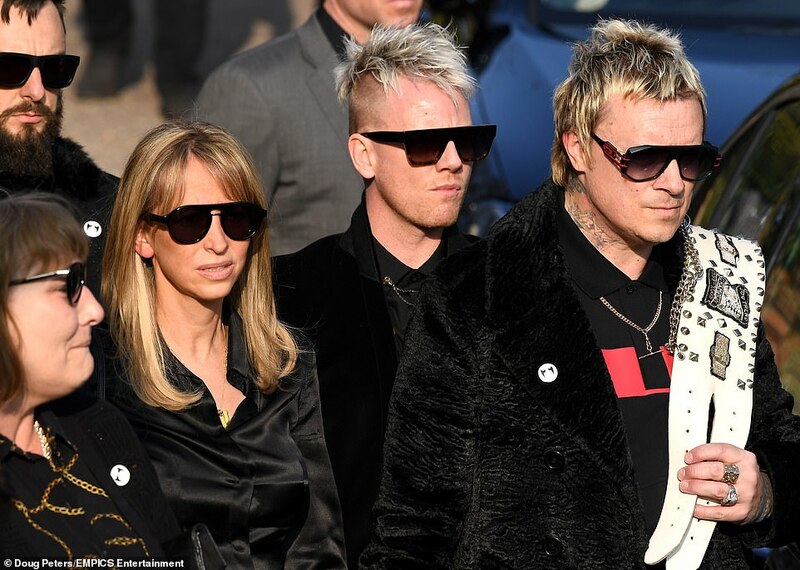 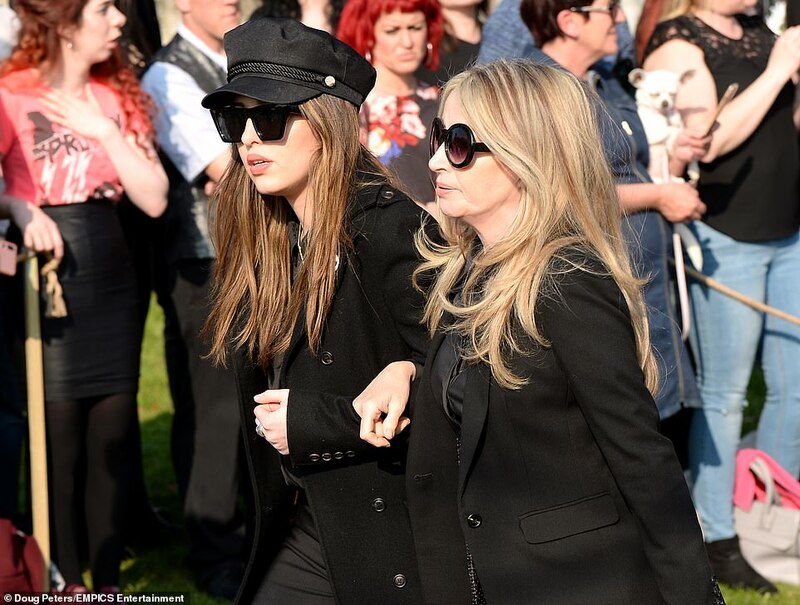 Bandmate Liam Howlett carried a heavy leather belt over his shoulder as he arrived with his wife Natalie Appleton, while Prodigy vocalist Keith Palmer, better known by his stage name Maxim, was also at the service today. 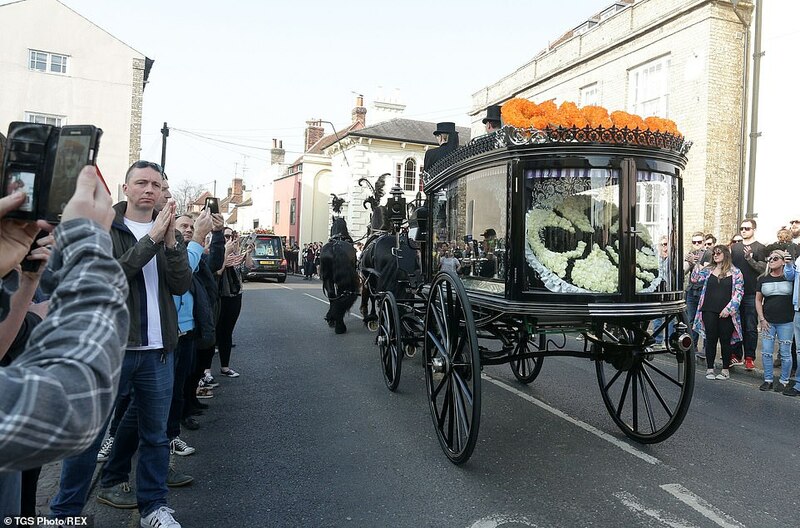 The cheers of the crowd were followed by sobs as the procession led by his dog entered the churchyard. 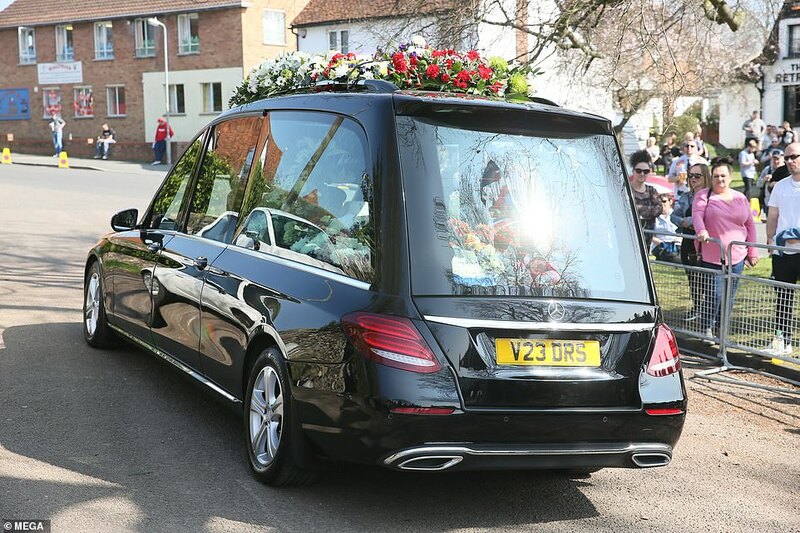 A hearse featured orange flowers spelling out ‘KEEF’ with a floral acid house smiley face was also in the car. 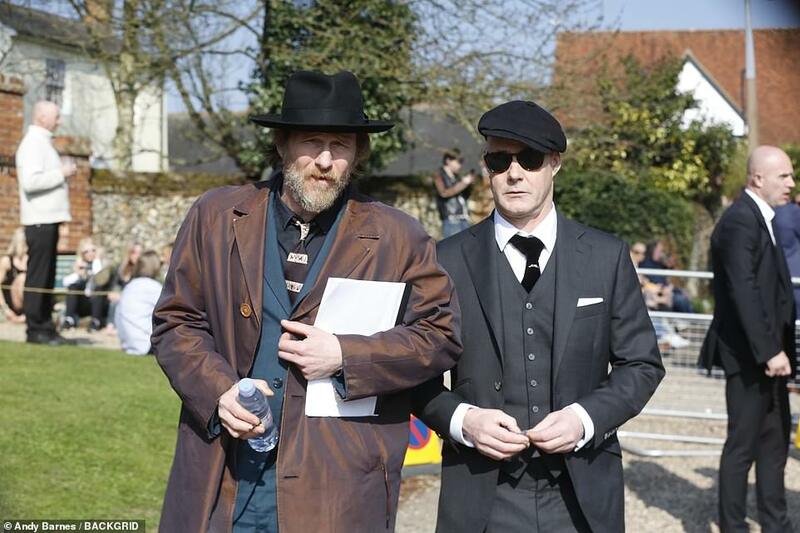 The recessional music was A Message To You Rudy and a eulogy by Martin Roach was read by Game of Thrones star Paul Kaye. 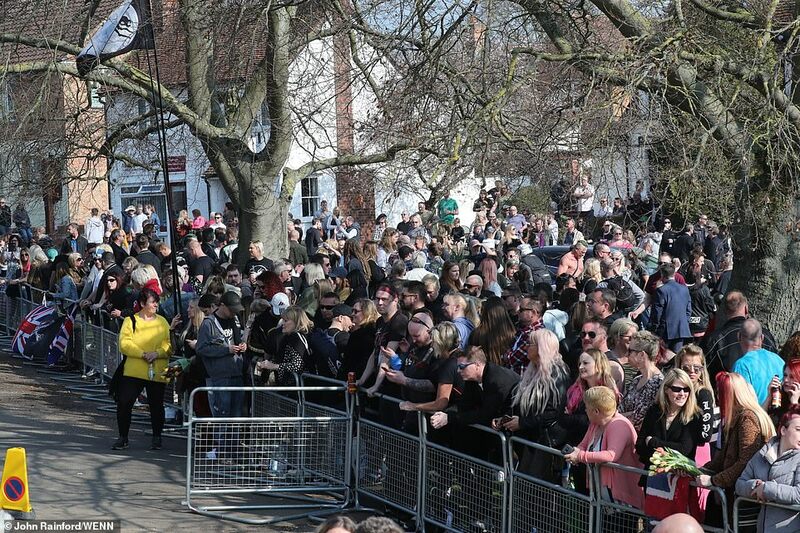 Donation’s in Flint’s memory were made to Battersea Dogs Home, Mind and Cancer Research UK. 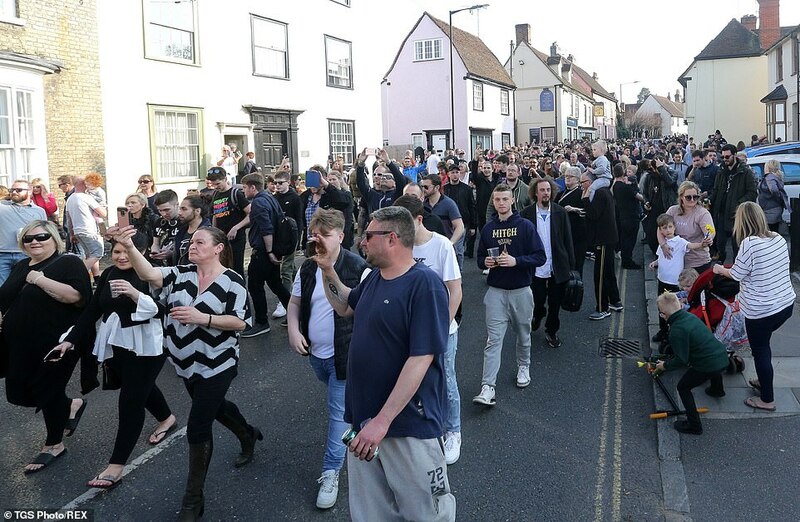 A crowd had already formed by lunchtime outside the historic building, with The Retreat pub opening its doors to mourners. 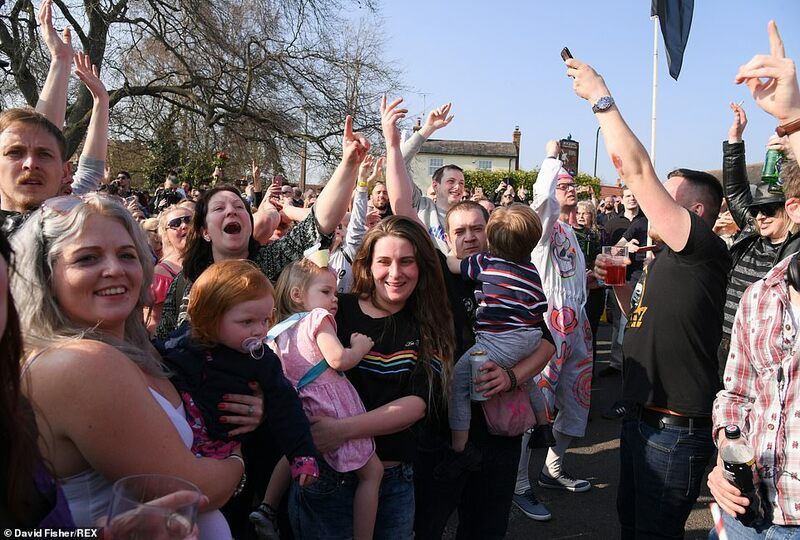 Men wearing Hawaiian shirts mixed with ravers wearing boiler suits in the sunny street. 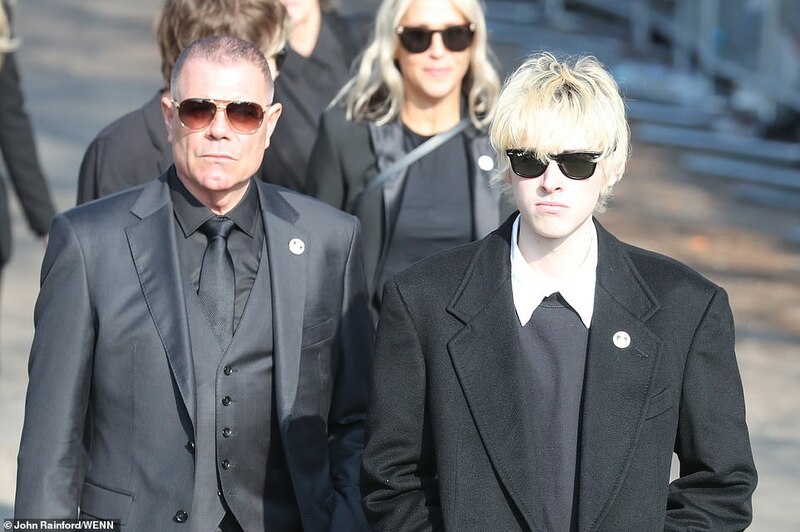 The band’s hits filled the air with flags stretching up into the sky. 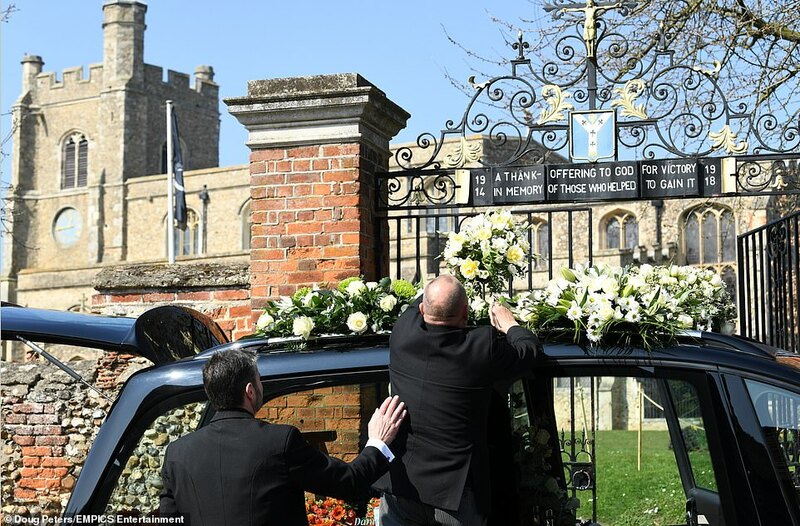 Fans sat on the green outside the 15th century church with well-wishers travelling from as far afield as Prague and Holland. 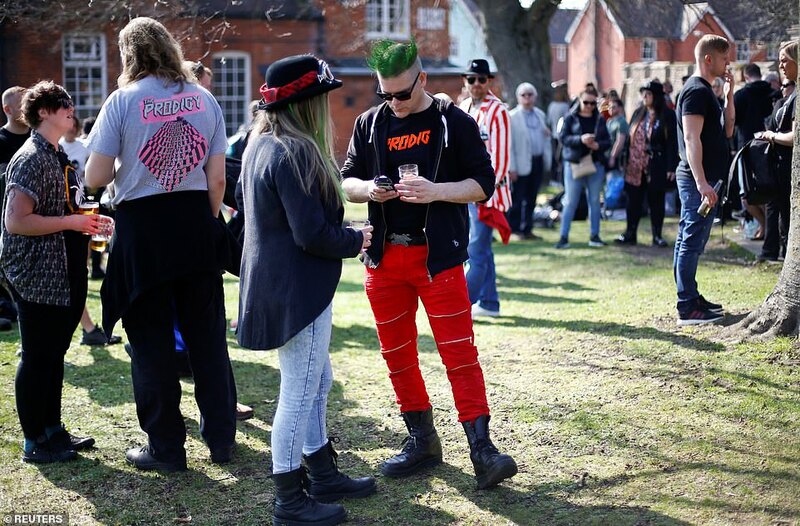 Marie Lelicova, 25, came from the Czech Republic to the service and was clad in a flag. 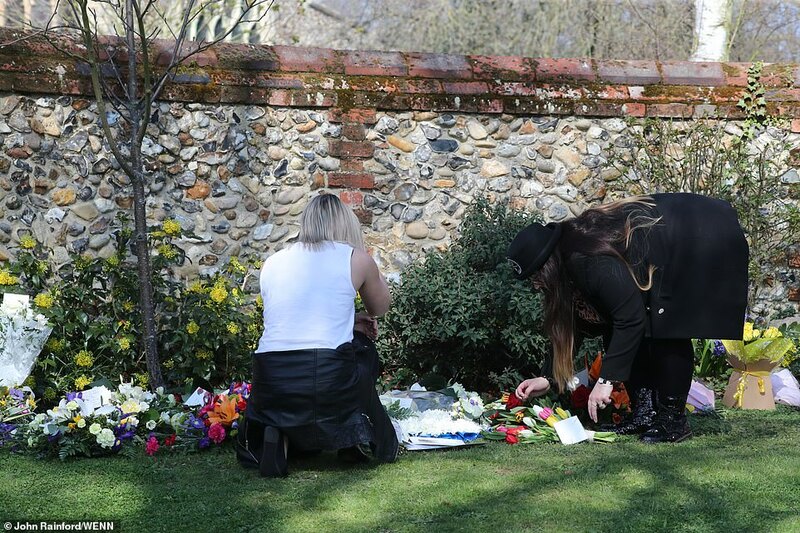 The photography student said: ‘I never met Keith but by being here at least I get the chance to tell him I love him. 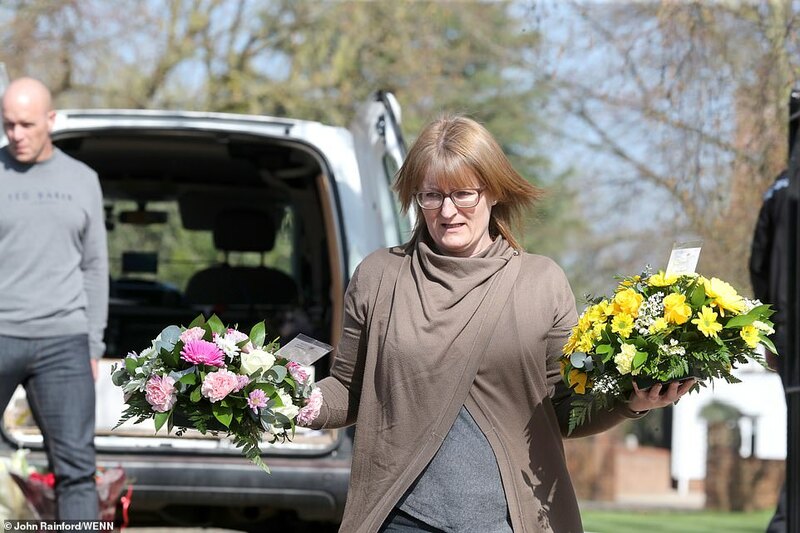 For others the service was a much more personal affair. 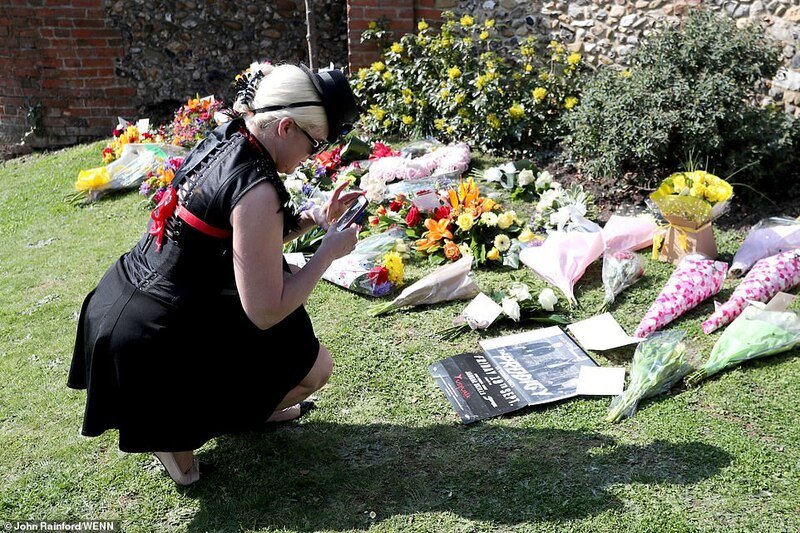 Louisa Di Marco, 44, used to dance with Flint before the Prodigy struck it big. 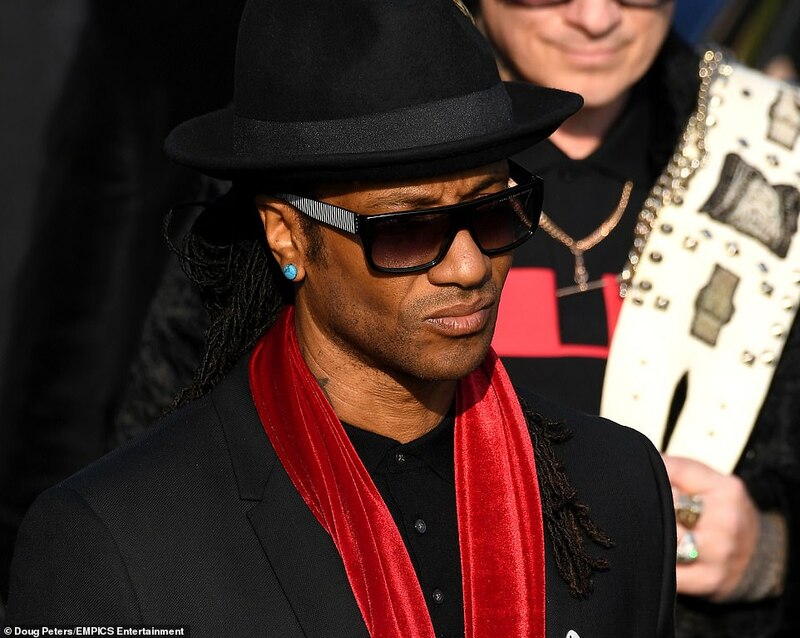 She said: ‘I used to dance with them professionally in the 1990s. 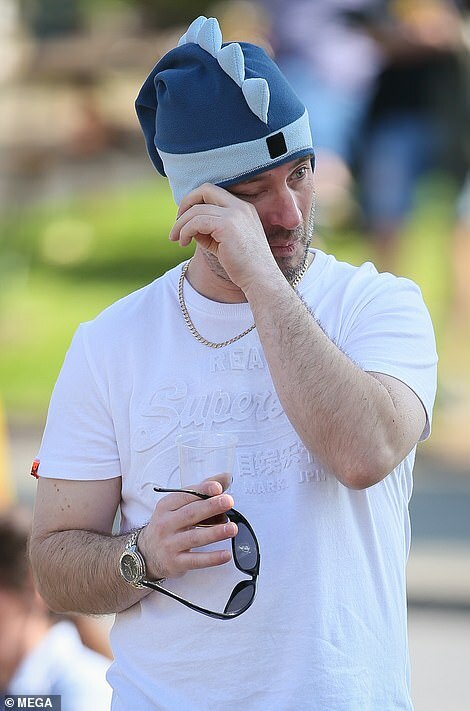 Dennis Kuhne, 40, who flew in from Germany, said he wanted to ‘say goodbye to Keith’. 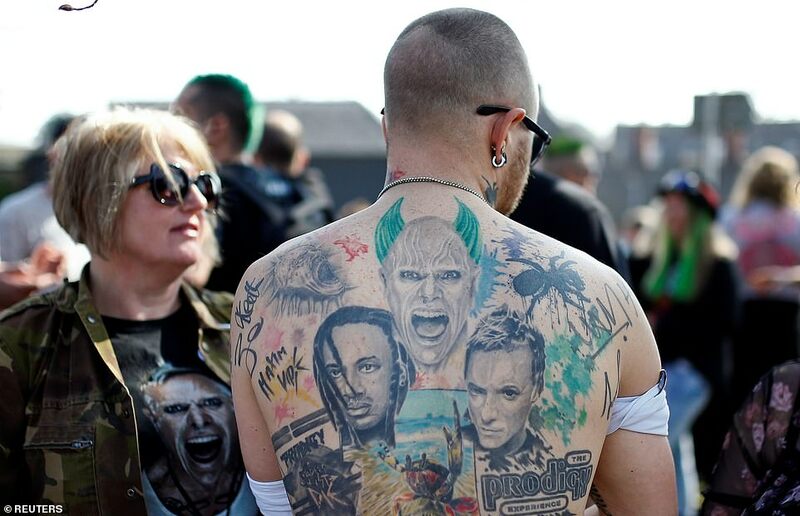 ‘I listened to them over 20 years,’ he said. 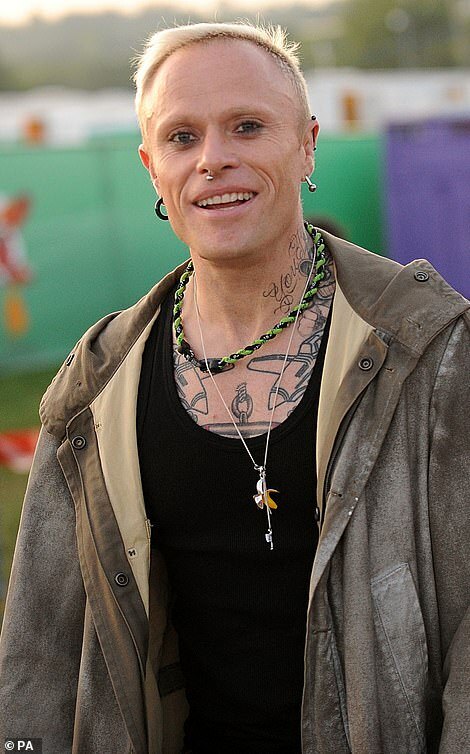 ‘My first concert I think was in 1995 for the Jilted Generation tour. 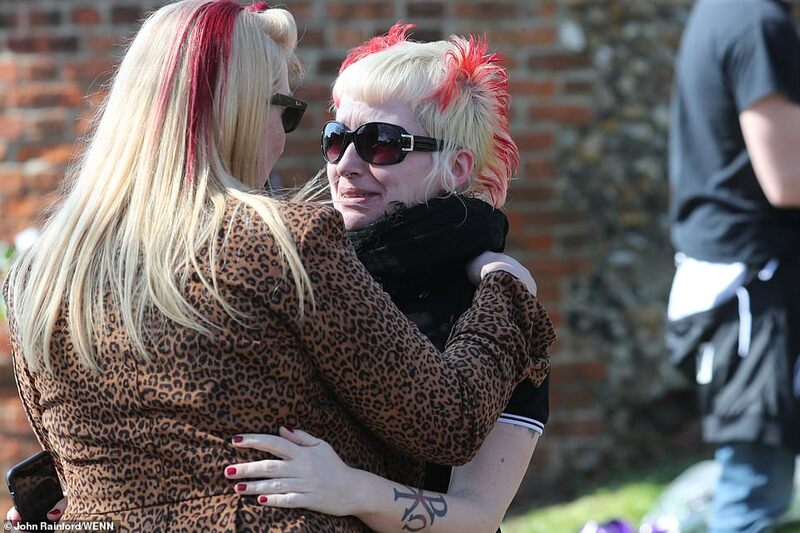 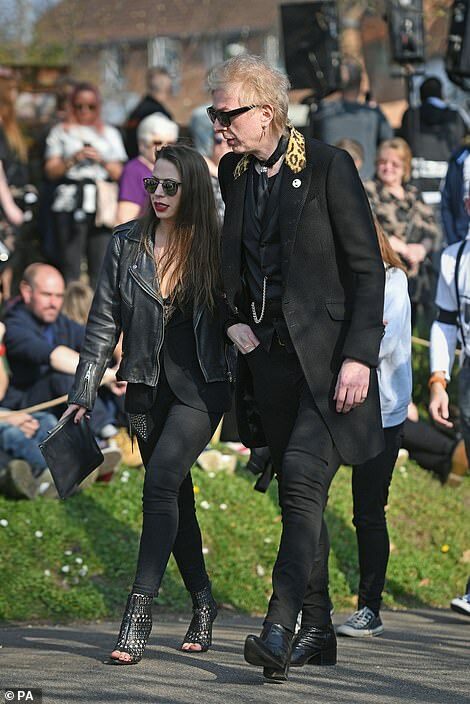 Denny Lennon and Jessica Mason, both from the US, jumped on a plane to attend funeral because the band and icon meant an ‘awful lot’ to them and they needed to get closure. 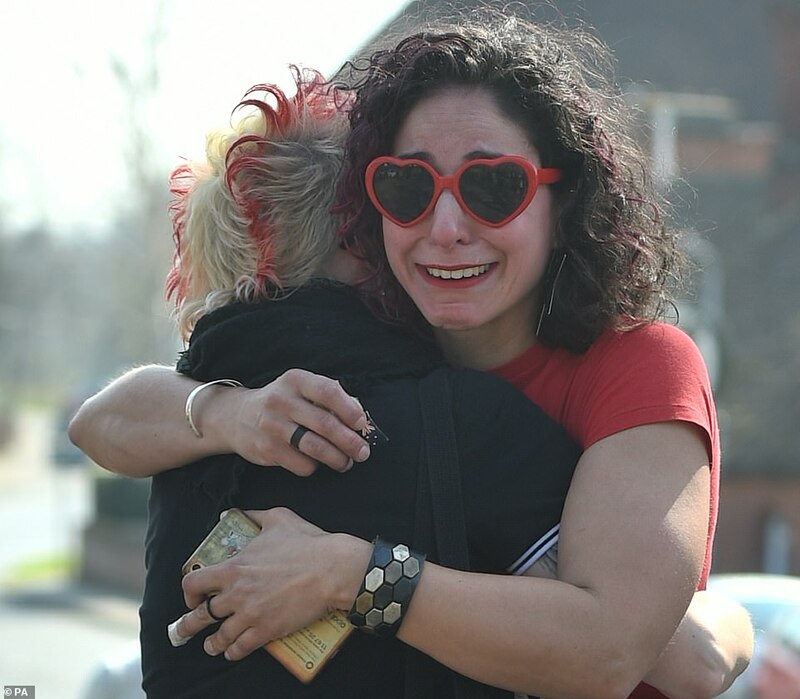 Ms Lennon, 32, from New York, who has been a fan for 25 years, said: ‘The band shaped me for who I am and their music is a part of me so I had to come and get closure for somebody who meant an awful lot to me. 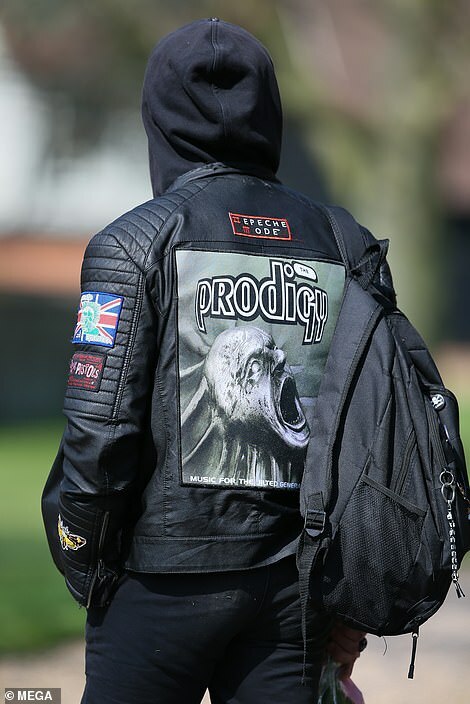 ‘Basically, Keith and the Prodigy are the reason I danced my entire life and they sort of saved me when my mind would wander and those teenage years where you don’t know who or where you are and you’re like ‘yes’ and Prodigy became a part of me. 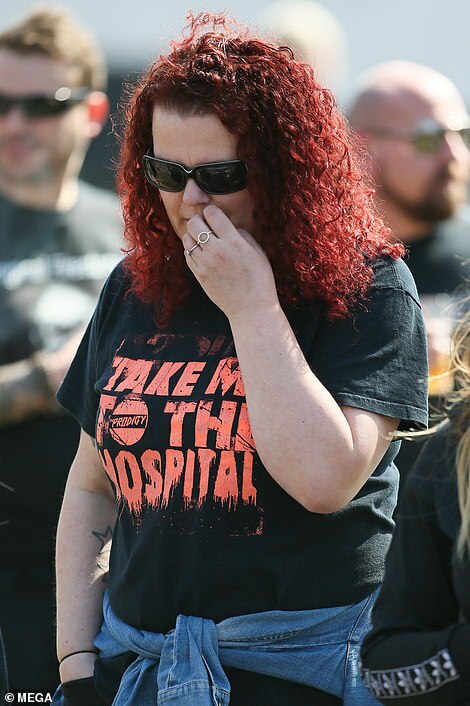 ‘I just received my doc and I was going to several shows in my US and planning to meet with the guys this means too much to me to show my respects. 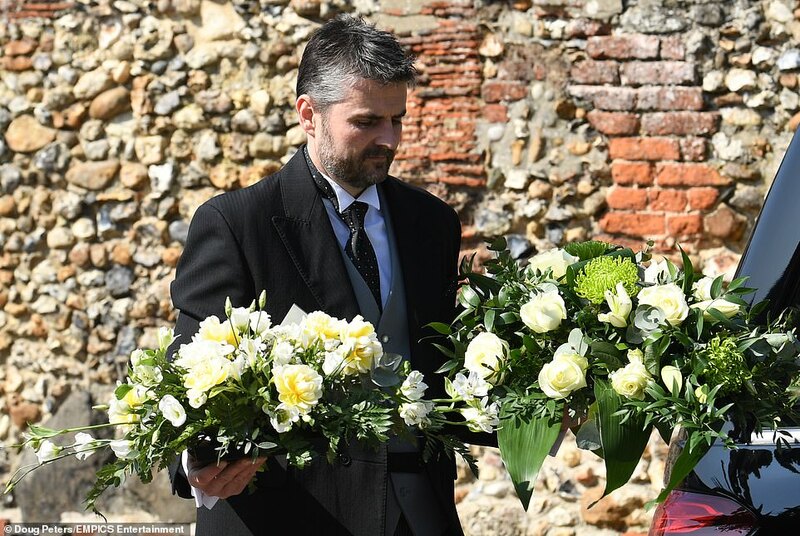 Flowers from thousands of miles away sat outside the church. 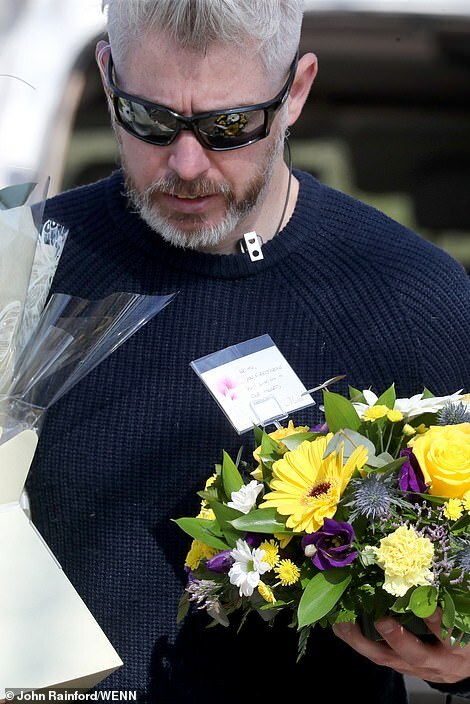 A bouquet from the US read: ‘Keef… You and I have never met but the world will forever miss you. 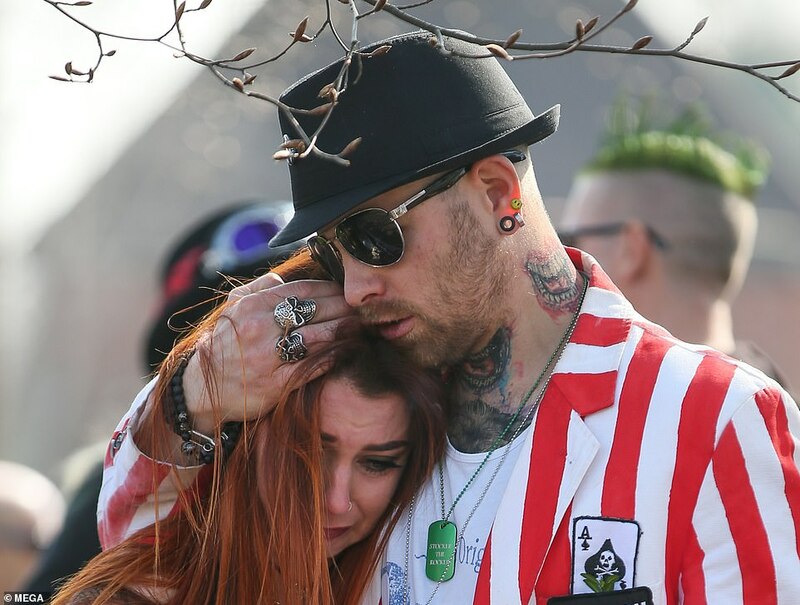 I am so sorry for whatever pain you may have experienced in life. 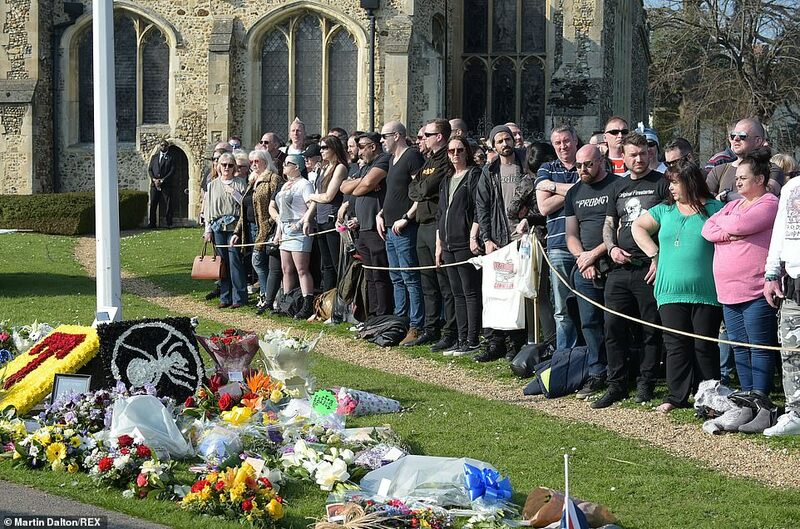 Essex Police warned of delays for drivers. 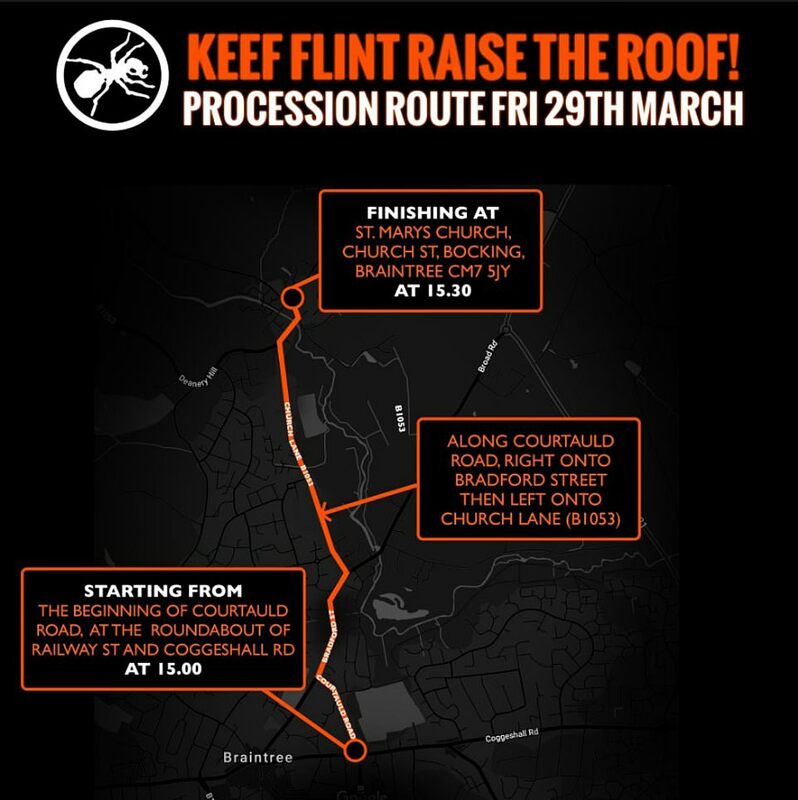 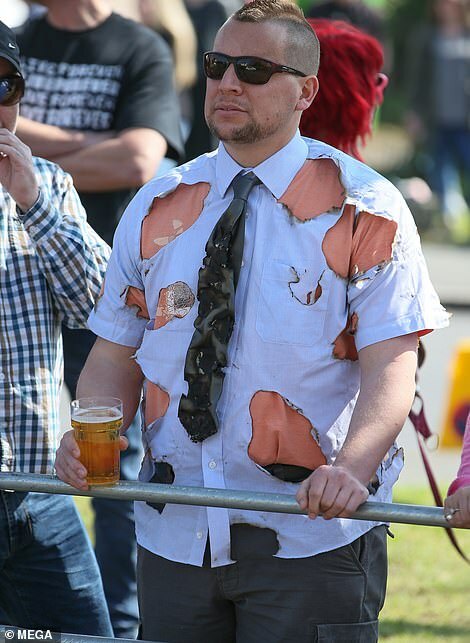 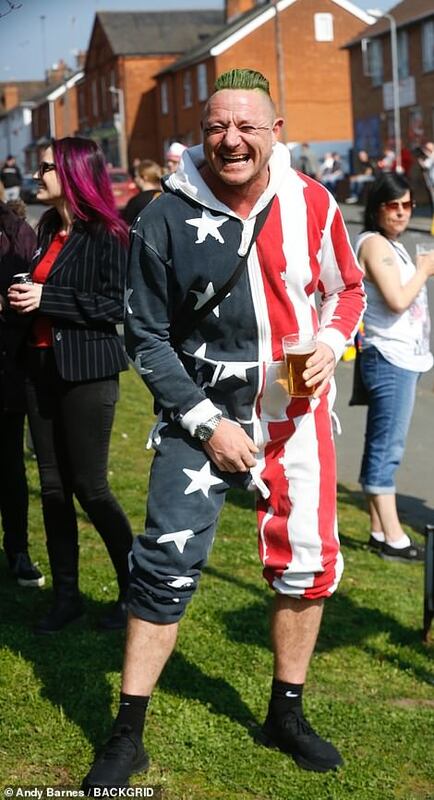 A spokesman said: ‘The roads will not be closed throughout the course of the procession – so, as such, we would ask drivers to avoid the area and find alternate routes where possible. 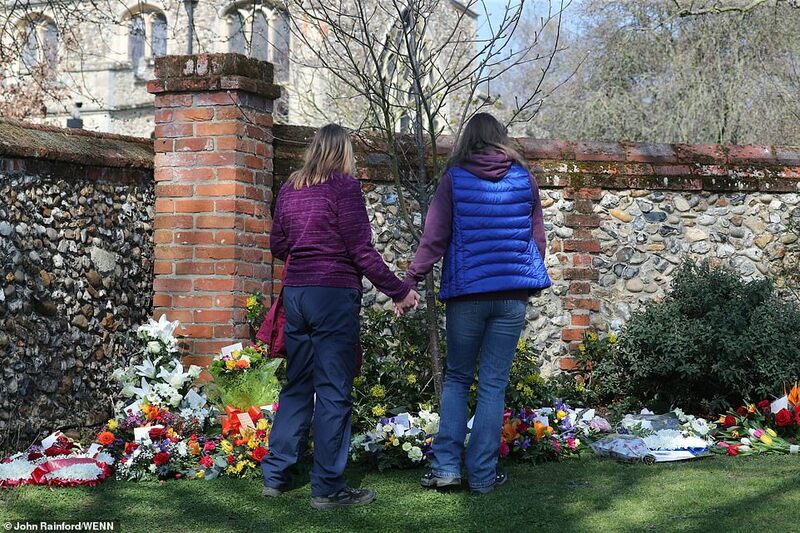 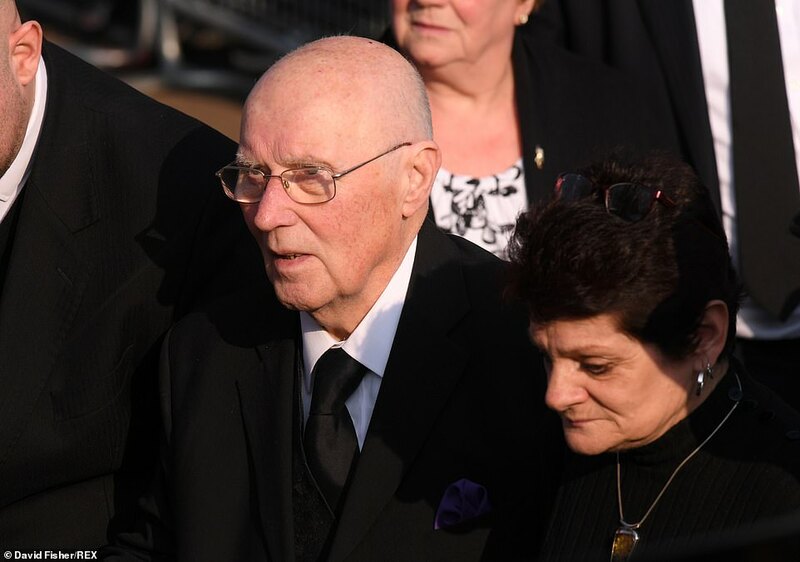 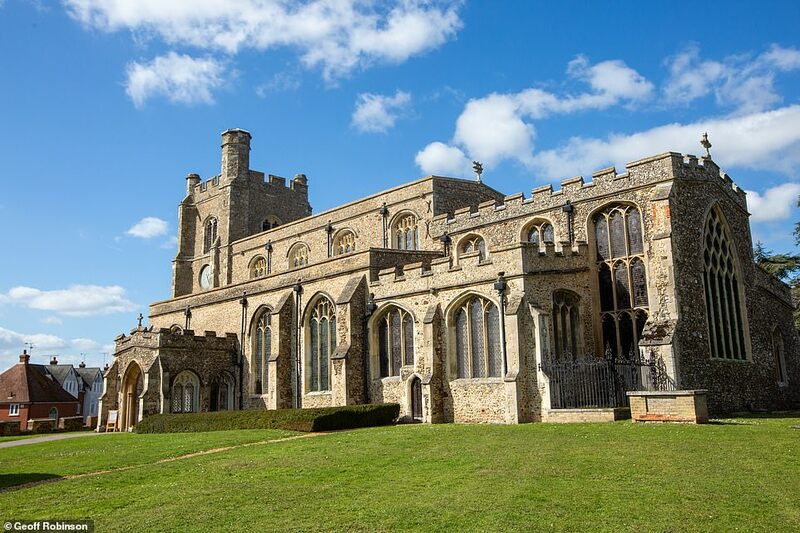 He said: ‘We are aware that many others will want to feel part of the day too, so the church service will be relayed across the church ground. 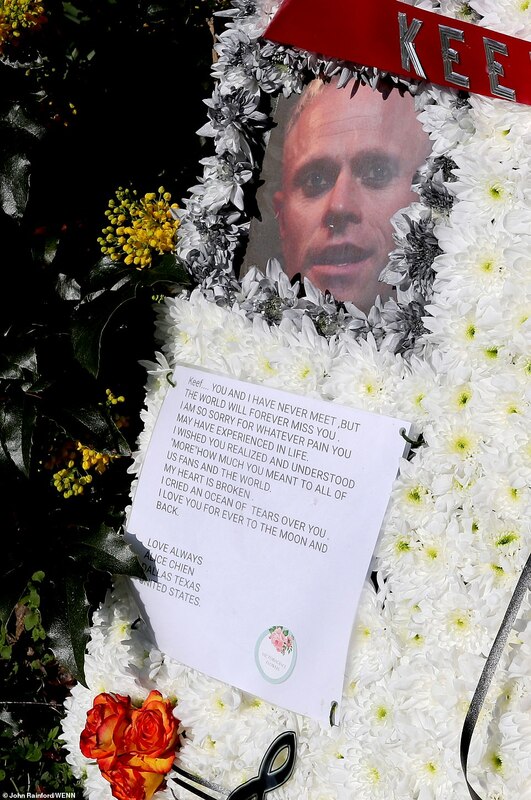 We all want it to be a fitting tribute and a chance to give thanks for Keith. 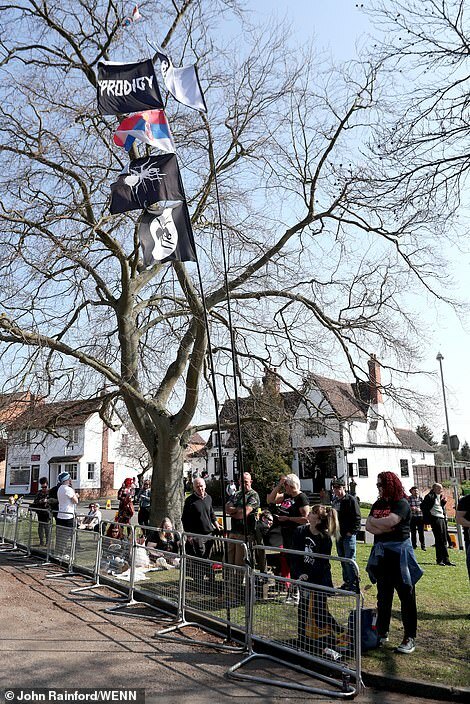 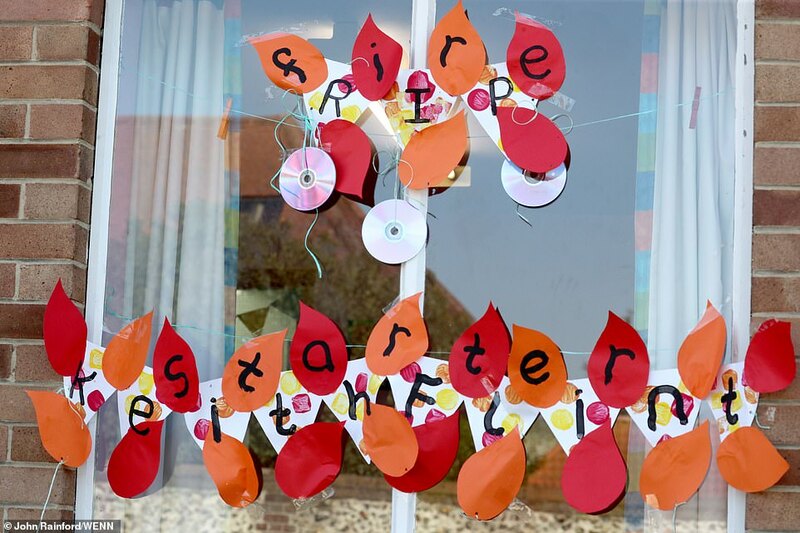 The service follows a campaign to commemorate Flint with a statue in Braintree. 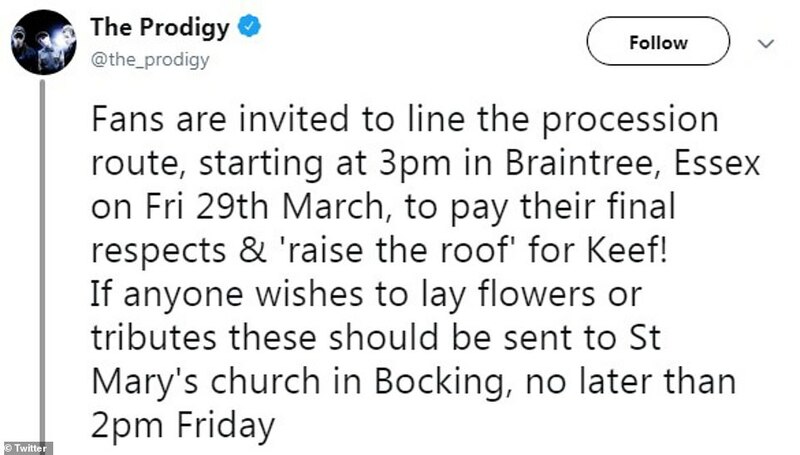 Thousands signed a petition backing the bid to ensure he can look ‘over Braintree and carry on inspiring the people to follow their dreams’. 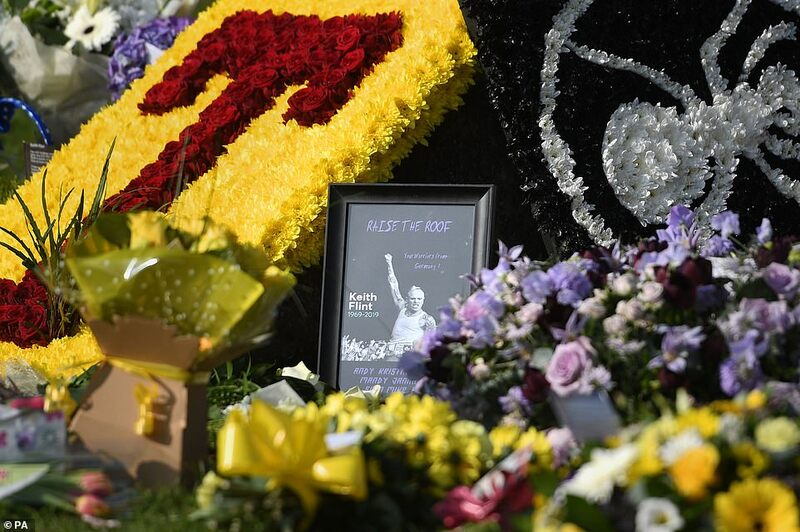 Council chiefs confirmed they will ‘consider suitable ways’ to remember the singer. 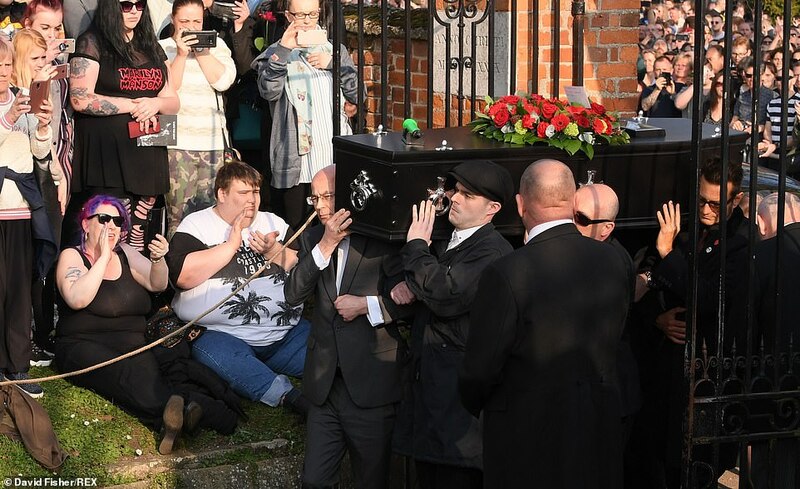 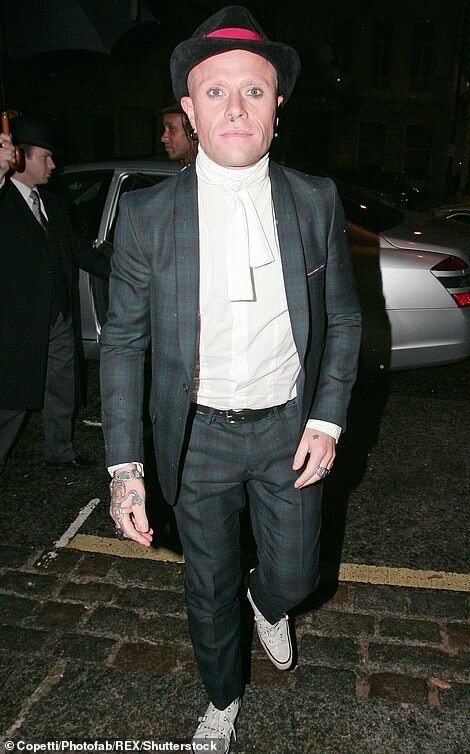 Flint was found dead in his nearby £1.5million mansion in North End on March 4 with an inquest hearing he was hound hanging. 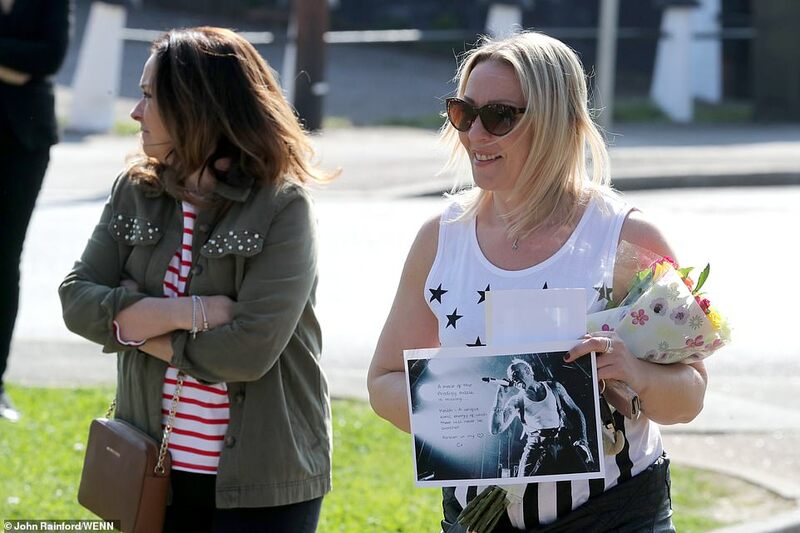 The star had recently returned from a tour in Australia and locals said they had seen him jogging in the lead up to his death. 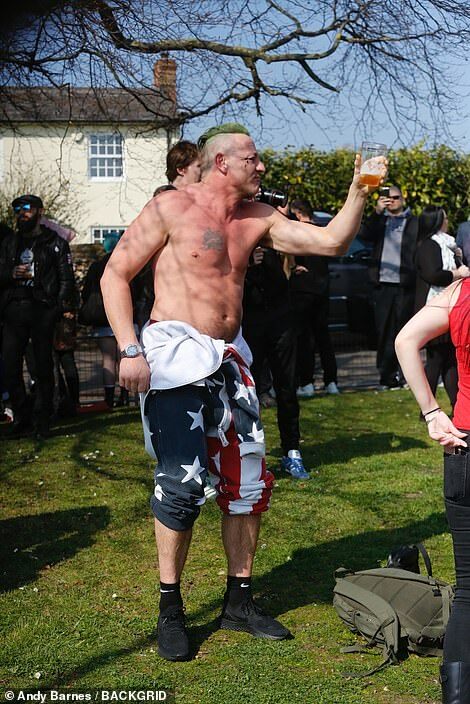 Tragically Flint even achieved a personal best for a 5k in the days before his body was found. 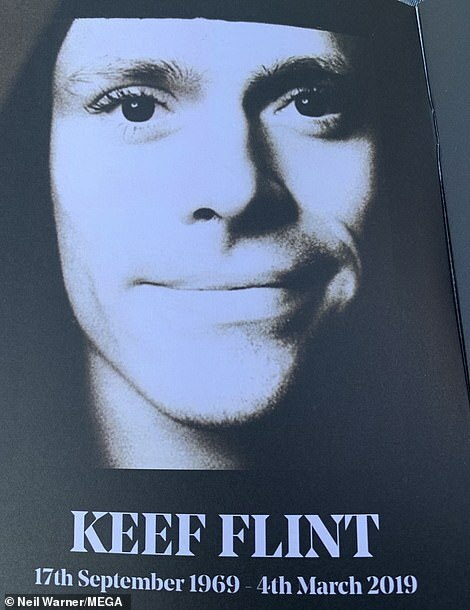 In the wake of his death it emerged Flint had split with his wife and his home had gone on the market.